Think some cocktails are just for summer? Then think again! Former World Class Australia winner, Jack Sotti shares the best ways to make the most of your cocktail serves and how slight changes can make them suitable for different seasons. A frozen Pina Colada is as synonymous with summer in Mexico as a stiff Rob Roy is with a brisk winter in Edinburgh; most cocktails call for a time and a place to be pegged to them. To think of a recipe in this mono-seasonal fashion is to do it a disservice. Nearly all recipes can be tweaked and adapted to suit multiple seasons and by looking into classic recipes we can see how. 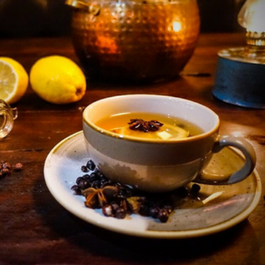 The Hot Toddy for example closely follows the makeup of a Whisky Sour, and the same can be said of the Sangria and a mulled wine, or Dickens’ Hot Gin Punch and a French 75. These examples primarily focus on temperature and dilution but this is just the start. When adapting a drink for different seasons you can use the aforementioned temperature and dilution, but you can also play around with texture and of course the obvious: seasonal ingredients. Playing around with various ingredients can provide more variations of serves for your menu throughout the year, allowing your customers to have endless serve options all year round. When playing with temperature, the most important factor to consider are sugar levels. The colder or more frozen your cocktail is, the more you will need to help bring balance and texture. Conversely the warmer a drink is, the more sweetness and sugar carries across your palate and less sugar is called for. You can see below examples of this with the Hot Gin Punch requiring a lemon: sugar ratio of 2:1 compared to the French 75 of 1:1. To increase efficiency when serving hot cocktails you can pre-batch your ingredients and have them bottled in a water bath on your back bar kept at a perfect 72°C, similarly I couldn’t think of anything more delicious than a pre-batched French 75 slushy! Dilution goes hand in hand with temperature, remember that heat carries flavours well especially the volatile aromas contained in spirits, hot drinks will always smell & taste stronger so dilution is key. When you shake a cocktail you only end up with ¼ - ⅓ dilution but a hot cocktail needs anywhere from ½ to equal parts water. 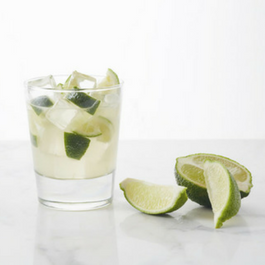 Remember that you can always lower the alcohol content by blazing or cooking your cocktail which works in a similar fashion to adding water but with the added bonus of flavour creation. A bit of heat can caramelize sugars in your cocktail creating a delicious wintery treat. Texture is massively important as you associate certain textural feelings with times of year. 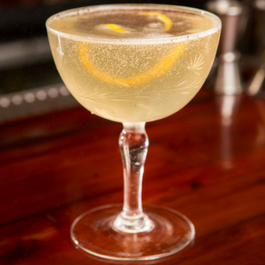 The below example of the French 75 & the Hot Gin Punch primarily focuses on carbonation - and this is just the tip of the iceberg. Other factors that can affect texture are emulsifiers, preparation method, ice, sugar, acidity. Adding eggs, cream or nut milks to drinks and combining them with a solid shake can yield rich and fluffy textures that compliment winter moments, the same goes for adding a knob of butter to a hot drink. A large block of ice in an Old Fashioned feels heavy & rich even in the winter, when compared to the arguably similar mint julep served over crushed ice. When you combine all these factors it’s easy to see why a tall, citrusy & effervescent Mojito is popular in summer. Having base recipes you can tweak can be advantageous as you can build your menu around seasonal ingredients without specifically listing them, try preserving techniques such as jams, shrubs or basic syrups to really make the most of your seasons. This means you can keep your menu current without unnecessary reprints and create talking points for you to bring up: “The French 75 today is made with fresh kumquats sourced from the market”. This can also keep things interesting for other bar staff encouraging them to exercise their creativity within some fairly specific parameters allowing them to take ownership of a menu. Having a keen understanding of what’s available at what time of year is a key learning point to undergo as a bartender. We live in a time when you can import exotic ingredients all year round but ingredients taste best when they are grown organically, locally and processed quickly, without spending too much time in cold storage. Expanding on this, sourcing out of season ingredients is costly which ultimately gets passed on to your guest. Limes are out of season? Take them off the menu. To illustrate we will look at two variations on the gin sour: The French 75 & the Hot Gin Punch. Both exhibit properties varying dilution, temperature and texture. Combine all ingredients in a pan excluding the water. Remove and bottle to cool. To serve, combine equal parts with boiling water and garnish with nutmeg & cinnamon. Give the first ingredients a short and sharp shake. Garnish with a thin lemon peel.Top with champagne. So next time you fancy creating a Pina Colada in winter, have some fun, play around with temperature, dilution, texture & seasonal ingredients to create its cold weather counterpart. An Old Fashioned with caramelized pineapple syrup & tiki bitters served over a coconut ice block perhaps? 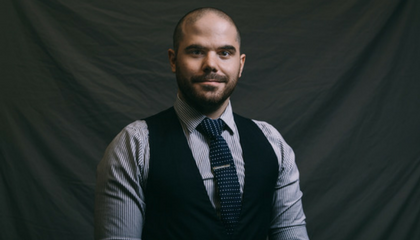 We caught up with World Finalist, Jack Sotti, to find out how he has progressed in the industry. Looking for a new flavour in your spirits but can’t find it on your back bar? Well infusing your own spirits could be the answer you are looking for. What does it take to be the best? We caught with up World Class 2016 winner, Jennifer Le Nechet, to find out her top tips. Stirring – it may sound easy but knowing the correct technique can ensure you create the right amount of dilution and chill and can help make sure your serves are perfect every time.